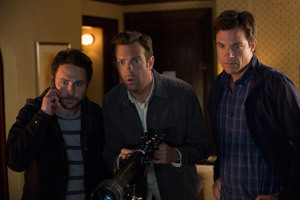 Jason Bateman, Charlie Day and Jason Sudeikis reunite in the comedy sequel Horrible Bosses 2. Watch the movie trailers for ‘Horrible Bosses 2’ below. 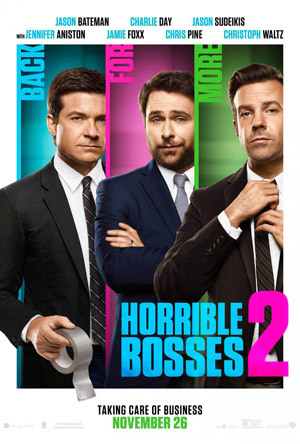 Fed up with answering to higher-ups, Nick (Bateman), Dale (Day) and Kurt (Sudeikis) decide to become their own bosses by launching their own business. But a slick investor soon pulls the rug out from under them. MPAA Rating: R for strong crude sexual content and language throughout.